Months after Hewlett-Packard originally announced the open-source version of WebOS, the beta version of the platform is on its way out the door. Friday's release includes two environments for developers. The first is the desktop build, which is boasted to provide "the ideal development environment" for designing the webOS user experience with more features and integrating other open source technologies on the Ubuntu desktop. The second is the OpenEmbedded build for porting webOS to new devices. Equipped with an ARM emulator for running db8 and node.js services, HP cited that it included OpenEmbedded because of its "widespread community adoption" and cross-compiling support for embedded platforms. The news is getting announced in a blog post: “It has taken a lot of hard work, long hours and weekend sacrifices by our engineering team to deliver on our promise and we have accomplished this goal,” the developers write on the site devoid of any HP branding. The plans to take webOS open source were first announced eight months ago. The release will have 54 components available as open source, the blog says, some 450,000 lines of code under the Apache 2.0 license. 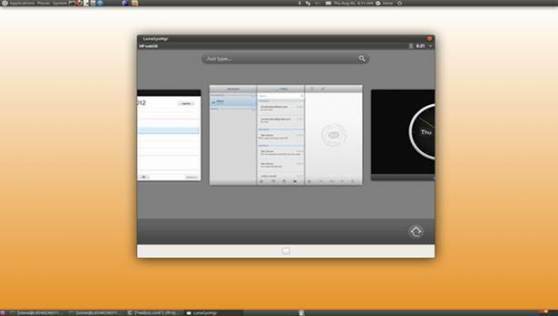 Alongside the announcement, the team also released a single shot of the operating system running on an Ubuntu desktop. HP provided a few more details in January, including that the first version of the new platform would be available by September 2012. The source code for webOS is linked on the site and is here on Github.